which means running the movement in simulation mode, also makes the program exit. What use is the simulation if it just makes the program die when it returns 'false' (or - 'I cannot move there')? I'm just trying to understand how to use this function appropriately; I'm having trouble getting my ship to check for locations it can't move in (and I didn't feel like rigging the entire exterior of the ship with Turtles that checked if they could move there, so they could tell the ship that it could move there too ). Is it a bug? If not, I recommend changing the 'simulation function' 's application so that it doesn't quit upon returning 'false', but rather... well... returns false. Still, for the rest, utterly amazing mod - thanks a lot! That's weird. Anyways I recommend that you make your ground and water vehicles only with Frames, Structure, and Template Carriages, so you don't have to expect problems. There's an Edit button. Please use it to avoid triple posting. 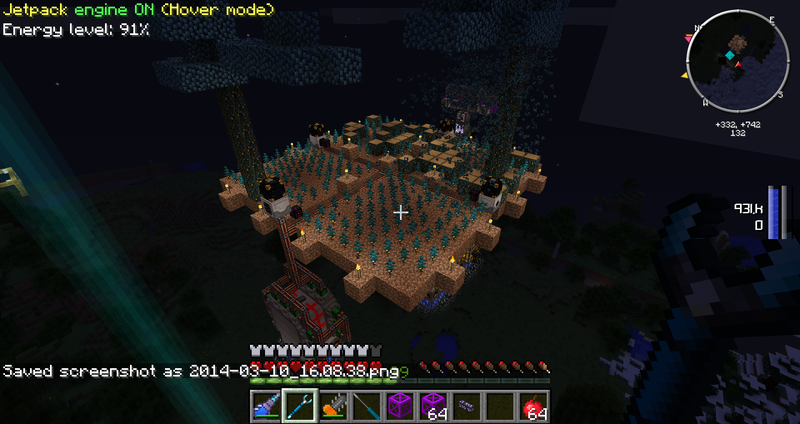 Ok, so I just installed RiM on our fully updated 1.6.4 MCPC+ SMP server and I tried to start making some frames. I put 5 sticks in a crafting table, and the Crosspiece shows up for a split second, then disappears. I even went into creative mode, and gave myself a crosspiece, and as soon as I click on the crafting table, it disappears out of my inventory. The blue platform frame are very nice in the fact you can use 1 and move lot of stuff BUT it makes landing impossible because it just drags EVERYTHING as long as there is a connection between it and anything then it will drag it = Other than that great mod, I can how finally finish my gaint air ship I was building last year with red power 2 which was lot more complicated with all the frame engine I had to built lol. I thought I would share my personal VTOL plane even if you cant really see RIM in action. More in my project topic here. Hey jakj I'm IceDrug20, remember me? To the point. I've recorded a new spotlight on RIM, since back when I recorded the old one, some new features didn't exist. Please feel free to watch it and put it on this thread. Question about translocators. I'm working on elevator system for a tall (20+ floor) building, and I can easily do the elevator with all the other motor types as it suits me. What I was *hoping* to do, for speed mainly, was to have a carriage translocator on each floor. They'd all share the same X/Y, just differing Z axis. 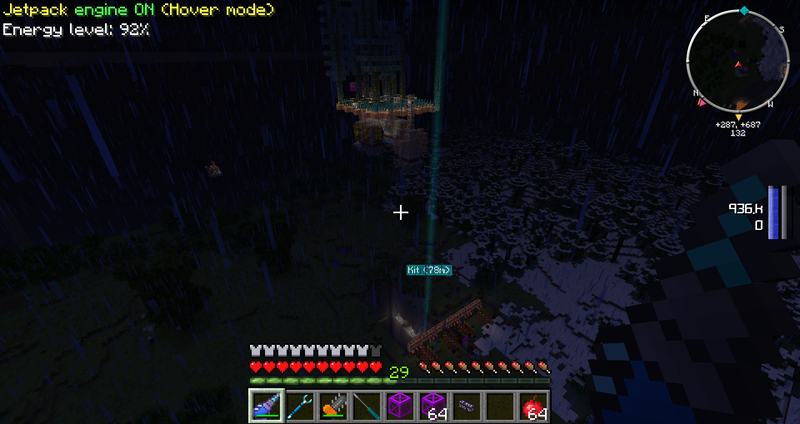 I as hoping that on floor Two, I'd be able to redstone 'down' and go to One, or redstone 'up' and go to Three. Is that something that might be possible in a future release? I would of originally posted it here, but trying to keep track of 1 post in a thread with a large number of contributors will quickly have it buried under pages & pages of posts; so i created a github issue and it hasn't even been seen yet; https://github.com/jakj/Redstone-In-Motion/issues/1. For those who don't want to read it the idea is a rotational carriage engine with a CC controlled variant that'll work for all 6 directions. We've been over it several times here, but here goes. Rotating blocks is no easy thing: there's no standard as to what metadata value corresponds to each direction, so each mod block would need its own. Additionally, if you want to rotate in 3D, there's a problem with, for example, furnaces: they don't come in sideways. You'd have to fix every vanilla block that does this (off the top of my head, torches, chests, furnaces, ladders, beacons, crops... the list goes on) and a majority mod blocks too. I wanna download tekkit for my minecraft server for me and my friends but im worried. Will i lose anything? Please reply. Is this Tekkit onto a vanilla server? If so, your existing stuff will probably be fine, though some mod ores might not be generated, and if you have smooth stone structures underground there's a chance that mod ores might be retroactively generated there. You should be able to keep most of your stuff, but keep in mind that you should not backdate worlds. If you are playing on a Minecraft 1.7 server you can't use Tekkit because Tekkit uses Minecraft 1.6. It might work, but it probably wont and everything in 1.7 that isnt in 1.6 like podzol, stained glass, dark oak and acacia trees, as well as the new biomes will not be carried over. If for whatever reason you are playing on a 1.6 server it should be okay, but I'd start a new world anyway. Also, this has nothing to do with Redstone in Motion, so you should have made a new thread. I have an awful trouble with RIM. 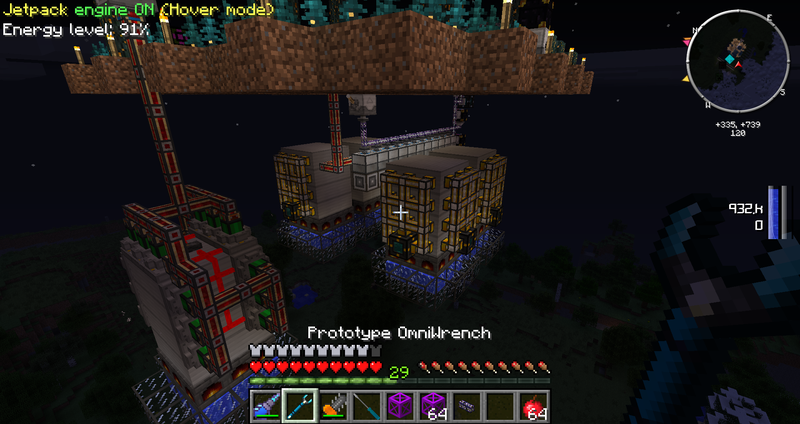 Sometimes then i right click with a screwdriver on a base template carriage block my minecraft client crashes. It`s not in first time. I know that if i`ll remove the base block of carriage everything will be fine, but it will break the carriage and i should start all again. P.S. Sorry, if the answer was written fot 100500 times. English is not my native language and it`s impossible to read all the topic from the start. Search didn`t help me. 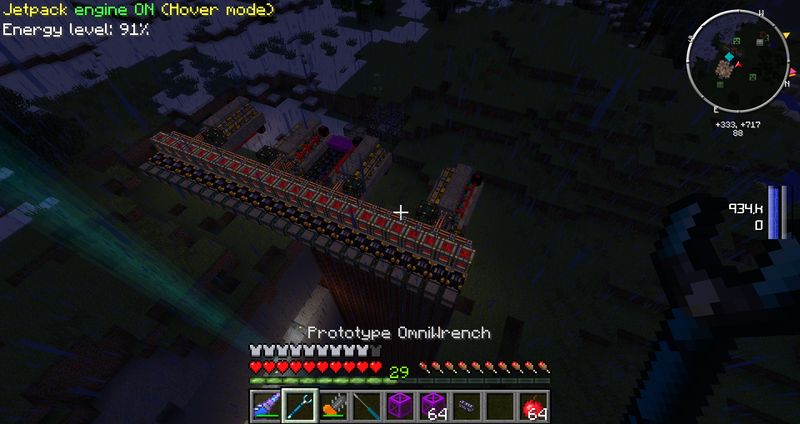 Because of limitation 300 blocks on carriage it consists of 7 independent parts. The mining part consist from two mining claws 12 mining wells and 36 steam engines each. Top parе is 5 steam boilers+furnances to make charcoal. And the most insane part of this project is FOREST wрich moves with miner. P.S. Help me to save this beauty! Ot just say how not to spiol it again. P.S.S. This is an old screens. Before death miner was on steam+biofuel. It's crashing trying to render template carriages. You can try upgrading to the latest 1.5 version of RiM, but other than that I don't know what you can do. d the most insane part of this project is FOREST wрich moves with miner.